Commonwealth Bank (CBA) today implemented support for Apple Pay, making it the second of Australia's "Big Four" banks to offer the payments service. CBA is the biggest retail bank in Australia and was a notable Apple Pay holdout. Multiple MacRumors readers in Australia have reported being able to add their Commonwealth Bank cards to Apple Pay, and Commonwealth Bank is listed as a partner on Apple's Apple Pay site in Australia. Commonwealth Bank first announced plans to support Apple Pay last month, giving in to consumer demand after a years-long dispute with Apple over fees and access to the NFC chips in iPhones. 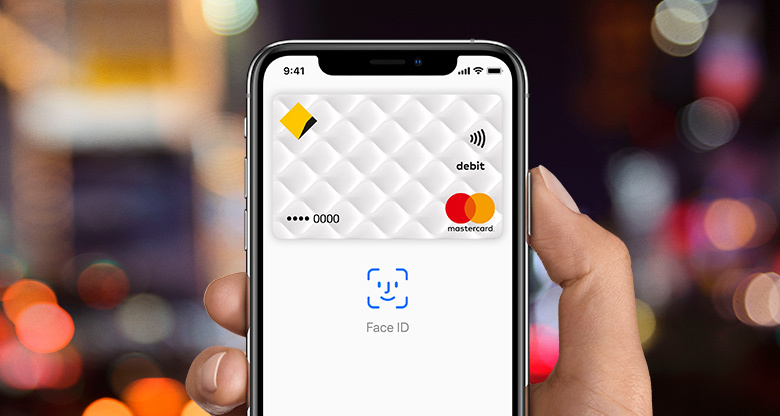 When announcing Apple Pay support, Commonwealth Bank Group Executive of Retail Banking services Angus Sullivan said that the bank had heard many requests from customers asking for Apple Pay, leading to its implementation. "We are committed to making changes that benefit our customers and simplify our business. We will continue to look for more opportunities to innovate and listen, to ensure our customers get the best experience when they bank with us. Responding to customer demand for Apple Pay underscores our commitment to becoming a better, simpler bank. Commonwealth Bank, along with NAB and Westpac, tried to collectively bargain with Apple to attempt to force Apple to open up the iPhone's NFC capabilities to support other digital wallets, like those offered by the banks themselves. Apple said that this would be harmful to consumers and would stifle innovation, a position that Australian regulators agreed with when denying the banks authorization for collective bargaining. ANZ was the only one of the four major banks in Australia to support Apple Pay when it launched in the country in April 2016. Other smaller banks later implemented support, but Commonwealth, NAB, and Westpac continued to hold out amid negotiations. It's not clear if NAB and Westpac will implement support now that Commonwealth Bank has done so. Bankwest in Australia is also now supporting Apple Pay, along with ASB Bank Limited in New Zealand and Bank of America Merrill Lynch in Canada. Multiple smaller banks in the U.S. have implemented Apple Pay support as well, with a full list available on Apple's website. Ironically, Apple Pay is much more widely supported in Australia than in the US, especially for small businesses, because most of the POS machines in Australia already support tap-and-pay. All banks in Australia have lost market cap mainly due to regulation and capital requirements. They still are a dividend play like always, not a growth play. Westpac still is the second largest by market cap in the country. To lastly state they are getting investigated for bad practices is fake news. There is a royal commission taking place and from my view Westpac have come through far better than any of the other majors and the only major to retain their wealth arm of the big four. You're seriously trying to compare the Australia, with a population of what, 25 million to the US's 325 million? You could dump the entire population of Australia into four or five mid western states and you be hard press to find your cousin. If Australia was state, it wouldn't even be the largest state by population, California has more people. There is no irony here. Only a much larger economy with a scale you failed to take into account. OK, you say, so all we need to do now is hustle up and get contactless POS terminals out there in massive force. In the U.S., there simply aren’t the same dynamics in play. Two million contactless terminals today sounds like a great start — until you do the math. There are something like 13 million POS terminals across a massive geography that is the United States, not including mPOS devices. The U.S. is also a market in which there are 1.2 billion payments cards in circulation, more than 47 billion debit card transactions, more than 26 billion credit card transactions and 209 million adults over the age of 18. Oh, and something like 14k financial institutions that issue those cards and countless merchant acquirers and ISOs all hawking merchants to deploy new terminals. It’s a whole lot harder to wrangle this ecosystem to the ground given the diversity of merchants and the engrained plastic card habits honed by consumers over the last 50 or so years. I do love how much room we have to swing a cat (the one size is basically the same as the entire US) oh and we tend not to shoot each other too much. Australia had tap and go for years. It's incredible popular here. Most people don't even carry cash ever. Vending machines, sushi joints everywhere accept contactless payments so apple pay is available everywhere. It's baffling that places like "wall-mart" or what ever the american stores are called don't accept apple pay for some observed reason. What ever retailer has a POS terminal from the last 10 years that accept contactless, accepts apple pay by default. "Incredibly stupid"? Have you seen their net worth!! You would dream to be that "incredibly stupid"! As I mentioned, you will get asked for a pin if over $100 on all bank connected terminals...which is ALL terminals. CDC verification is mandatory for any successful purchase or transaction that is linked to the originating terminus. Just so you know, facebook ISN'T 'everyone' and there are many customers actually using it. What does me having a Billion Dollars captial have to do with Westpac's stance on Apple Pay? Also tonyduffe is right, I use Apple Pay for my purchases at many different types of terminals and I haven't been asked for a PIN for anything over $100. No you will not. As I mentioned if the bank supports CDCVM ('https://support.apple.com/en-au/HT202527') (Consumer Device Cardholder Verification Method) you will not be asked for a PIN on transactions over $100 where the merchants payment terminal also supports CDCVM. You need to read the link article in my first and second reply and this reply as well. CDCVM, Allows the PIN to be substituted out for device level verification done via Touch ID or Face ID on device for transactions over $100 in Australia. Well well well Westpac and NAB are you going to continue to be incredibly stupid and refuse Apple Pay or are you going to swallow your pride and finally allow it but as a former Westpac customer, even if you allow it, I'm not changing back from ING as it offered better interest than what you were offering. Not to mention my local Westpac branch had terrible customer service. Swing cats? Nice deflection, however irrelevant. Incidentally, plenty of room in the US to swing cats if that's your thing. By the way nice pic, which is also irrelevant. Point did not pass me by, I just cringe when I read statements from Americans that feel they are the biggest and best in the world. Whilst we may only have circa $25m I say quality over quantity. The other persons post you were attacking was just making the point that as a nation we have adopted to tech in this space far better than other locations. The same thing happened where we moved to 3G phones back in about 2000/2001 when the US were still trying to adopt Edge. Especially when we don’t have to tip anyone!